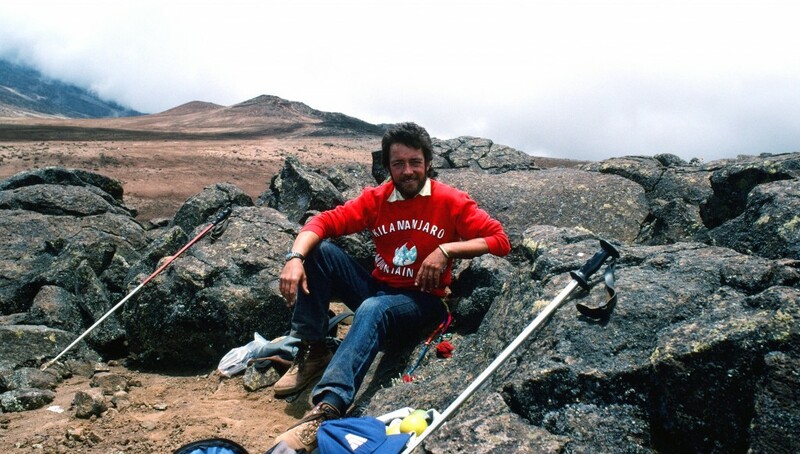 When Eddie Frank first arrived on the slopes of Mount Kilimanjaro in 1977, climbing the mountain was not the be-all/end-all destination it is today. It was just a part of the trans-African odyssey that Eddie offered his clients. “Back then things on Kilimanjaro were pretty casual; not like nowadays, where there are roughly 40,000 people climbing every year. You showed up and you climbed,” Eddie recalls. “On my first climb it was five days and I got sick as a dog. I tried to do it in cotton clothing and steel toed work boots. We got wet and cold, but we were young, tough and immortal.” It took Eddie three subsequent attempts to summit the mountain. 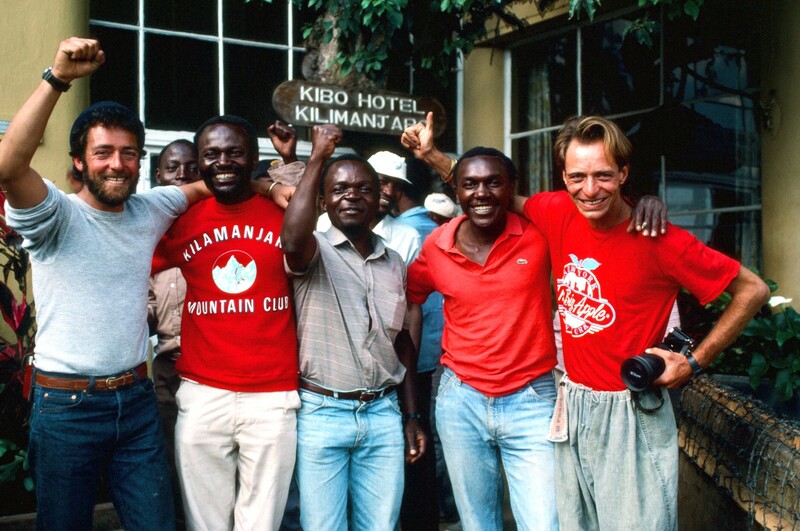 To climb the mountain back then, many first checked into the Kibo Hotel that sits at 6,000 feet on the mountain’s slopes in the village of Marangu. The Kibo has been a constant fixture in the Kili trekking scene for over a century. It has become a living Kilimanjaro Museum with memorabilia of past climbs dating back to Hans Meyer who made Kili’s first successful summit in 1889. The Kibo remains to this day, “a temple echoing the spirit of Kilimanjaro,” according to one recent guest. A black and white painting of Meyer with his guide Yohini Kingala Lauwo hangs in the lobby. Colorful flags and emblems of climbing clubs adorn the walls; the most colorful are the red Japanese flags with their calligraphy. Old photos of Kilimanjaro Mountain Club climbers from the early 1900s are sprinkled around the premises. Fellow Kibo guests were a good source of mountain conditions and those that had climbed already let you know that this was not going to be as easy as you thought. Soon after checking in you met Godfrey Labrosse who was both hotel manager and your booking agent for the climb. Originally from the Seychelles, Labrosse arrived at the Kibo in 1976 and his daughter Julita kept it in the family until 2009. 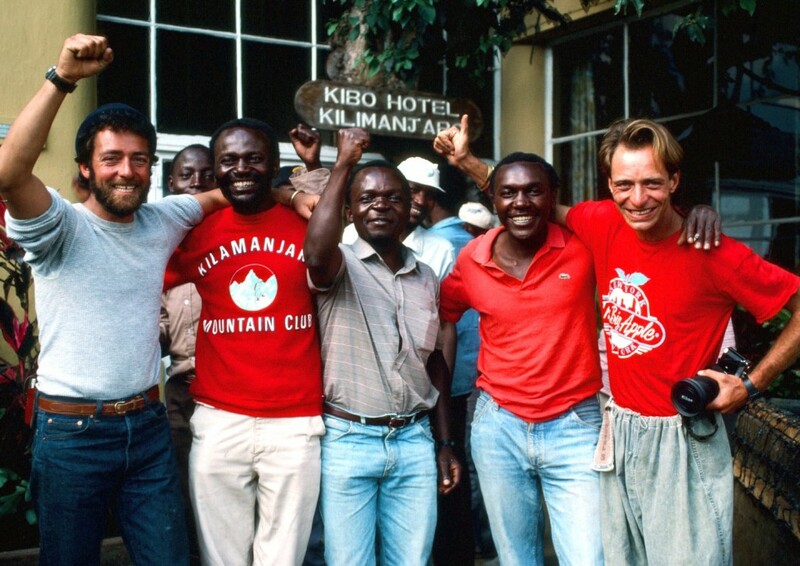 Godfrey quickly understood the potential of Kilimanjaro and how it could benefit the hotel. His guests were primarily Germans, Swiss and Americans with a sprinkling of Japanese and French. Labrosse was booking around 2,000 trekkers annually in the late 1970s, arranging the guides and porters. The night of their arrival he would interview potential climbers asking them what mountains they had climbed and warning them of altitude sickness. After breakfast the next morning they would be off on their five day climb. The biggest impediment to climbing the mountain in the late 1970s wasn’t glaciers or altitude sickness, but socialist politics. 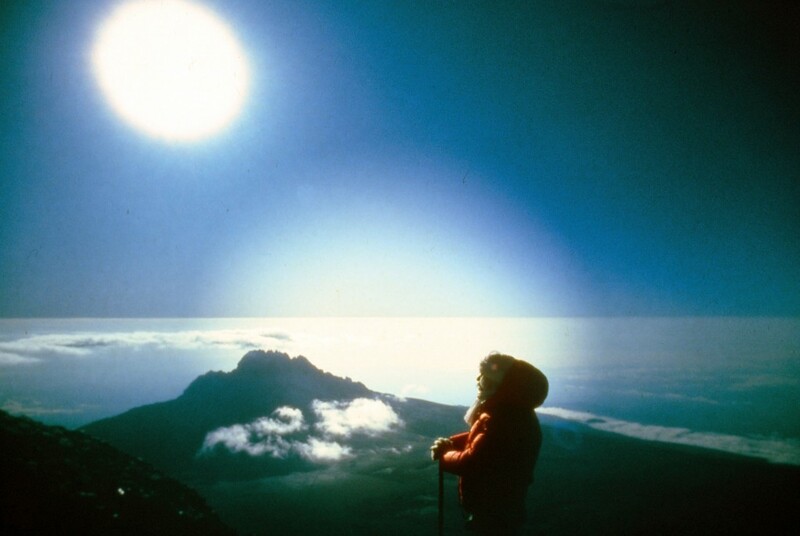 Julius Nyerere, the first president following Tanzania’s independence in 1961, single-handedly delayed the era of mass adventure tourism to Kilimanjaro for a decade or more. Nyerere was a devotee of Chairman Mao and when he collectivized Tanzania’s farms, it backfired. Almost everyone struggled during Tanzania’s socialist era and if it weren’t for extensive foreign aid it could have been worse. Nyerere ran the country until 1985 and his brand of socialism strapped such a tight straight jacket on the economy it impacted everyone including those trying to climb the mountain. Nyerere’s policies were a dampener for Kilimanjaro in other ways. He established Kilimanjaro National Park in 1971 and new fees were instituted as well as restrictions. All climbers had to be accompanied by local guides and porters and climb the Marangu route, using huts that foreign NGOs had built. Many budget backpack travelers complained about the controls and fees, but they still came. In 1977 Nyerere closed the border with neighboring Kenya and the Kilimanjaro trekking business dried up. The closure was part politics, but mostly economics. Nyerere was not happy that Kenyan tour operators were bundling tours of the Masai Mara in Kenya with Tanzania’s Serengeti and Kilimanjaro. Nyerere felt Tanzania wasn’t getting its fair share of that hard currency. With the border closed, most of the tourism money stayed in Kenya. Instead of hiking Kilimanjaro, many tourists opted to climb Mount Kenya, Africa’s second highest mountain at just over 17,000 feet. Visits to Tanzania’s national parks plunged from 230,000 to 90,000 the first year of the border closing. Things were so slow on Kili that the Kibo Hotel nearly went broke. 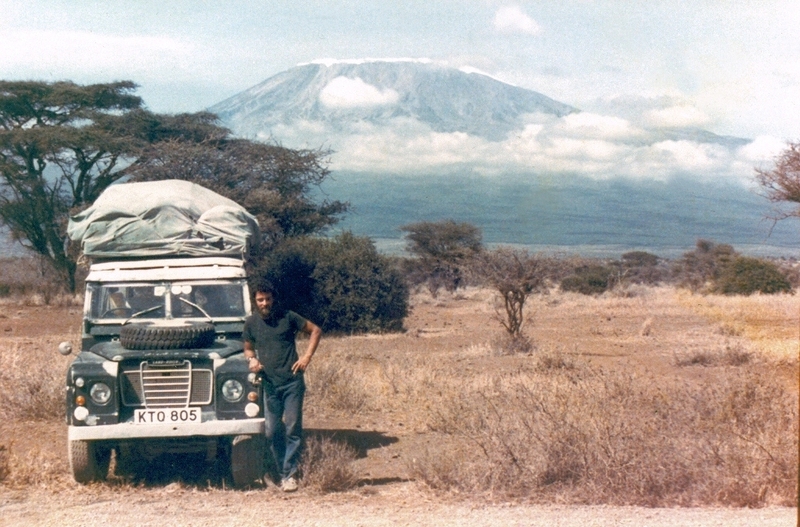 The border was closed for seven years, but somehow the Kibo survived and Kilimanjaro’s busiest days were still to come. By the early 1990s the Nyerere years were a hungry memory and Tanzania began recovering. Tourism was flourishing in the Serengeti and more safari packages were including Kilimanjaro on extended itineraries. An era of foreign investment began with new hotels built throughout the country including Kilimanjaro. Top newspapers and magazines in the U.S. and Europe ran articles from prominent journalists about their experiences on Kilimanjaro. Michael Crichton was among the scribes experiencing Kilimanjaro and his anthology of short stories, “Travels,” helped launch his writing career. 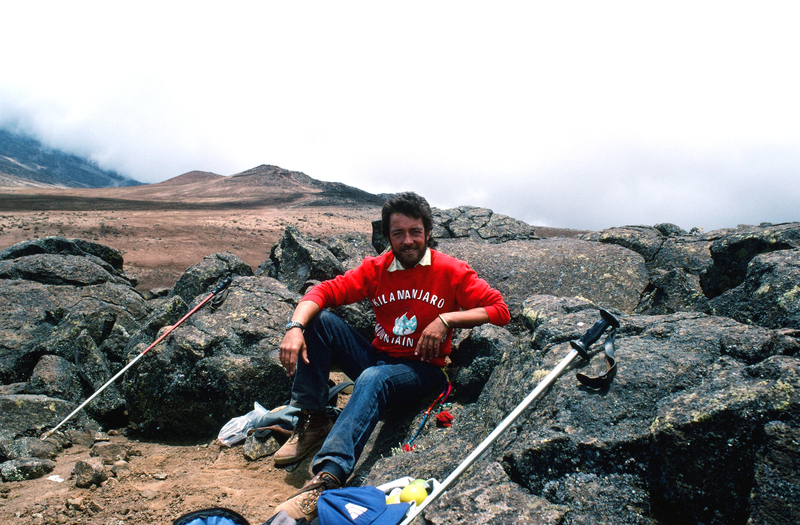 His climb in 1985 changed his life and is among the best stories ever written about the agonies of climbing Kili, but also let the reader know that a successful summit has a long lasting impact on one’s confidence. Outside Magazine also ran pieces on the mountain. The articles were favorable and gave the reader a sense that Kilimanjaro was difficult, but not technical (no crampons/ice axes). 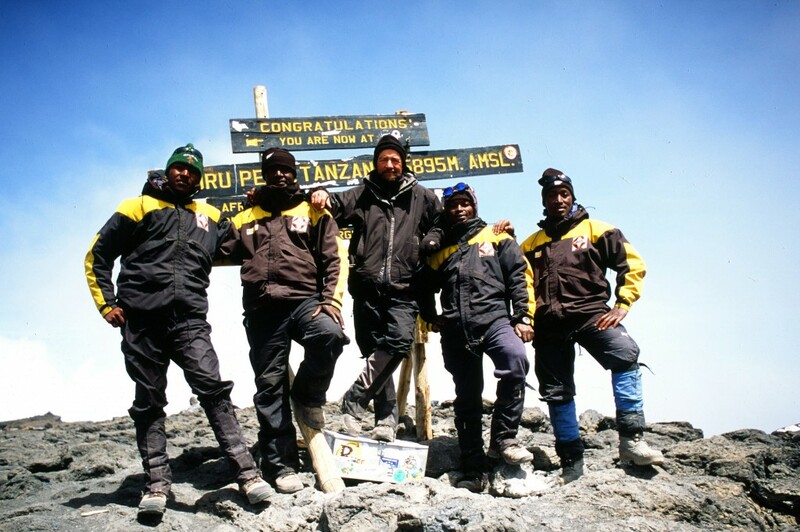 It offered those who made the summit a spectacular view and a sense of accomplishment of making it to the roof of Africa. Famous people were attracted to the mountain and this fanned the publicity flames. Former president Jimmy Carter nearly made the summit on his 1988 climb. Eddie Frank was at the Kibo Hotel and greeted him on his descent. What finally pushed Kilimanjaro into the adventure travel big leagues was a perfect storm of timing and location. By the mid-1990s adventure and Eco travel were the industry’s buzz words and Africa emerged as a key destination. While much of Africa was thought to be unsafe, Tanzania avoided the civil wars and famines that garnered the kind of negative press that made much of the continent off limits. Kilimanjaro emerged as that rare combination where you could actually get out of a tour bus and hike, see wildlife and possibly summit the highest peak on the continent. For the growing legions of weekend warrior types who wanted to prove themselves on mountains, Kilimanjaro was a lower cost alternative to the more risky and costly trips in Nepal’s Himalaya. Kilimanjaro developed a macho mystique whose seeds had been planted by Hemingway in the 1930s. A host of American and European adventure travel companies started promoting the mountain and selling trips. Eddie used ads in Outside Magazine and before the Internet era fully arrived, Eddie fanned Kili’s visibility with his photography championing its attractions on the web. 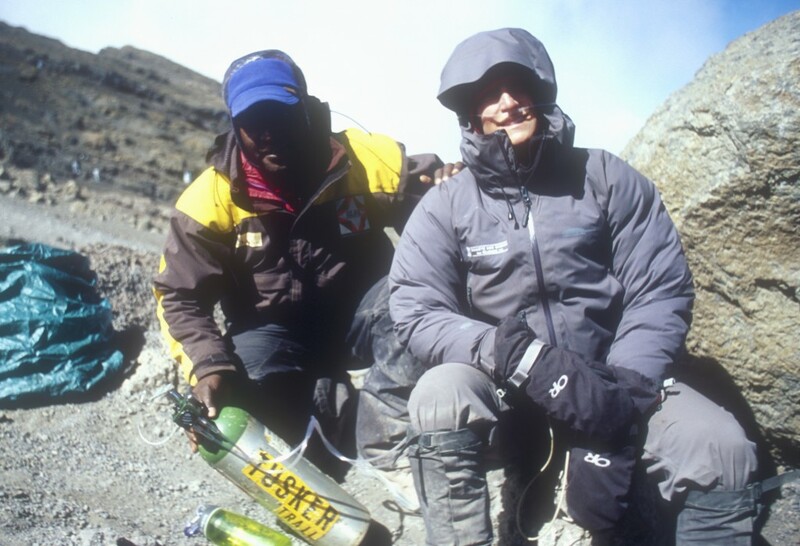 By the mid-1990s Tusker had fully joined the party and Eddie focused his efforts on climbing the mountain. He saw Kilimanjaro as much more than a safari extension; but rather a primary destination for outdoor women and men who wanted to climb the mountain first and go on safari second. It proved visionary. Eddie took a different tact than his competitors and his Kilimanjaro business exploded from 1997. While he and his competitors were all using top flight equipment (sleeping bags, tents etc. ), he upped the ante with high tech equipment and specialized high altitude medical training for his expert guides. To help improve the chances of his clients making the summit, Eddie discouraged the five day up and down quick trips and focused on the longer routes that allowed for better acclimatization. From 1977 to today there have been four times as many climbers. 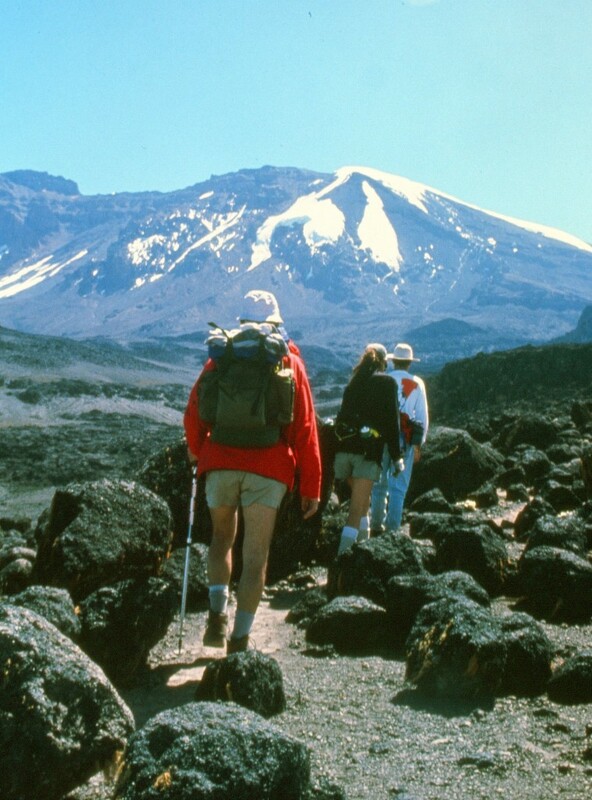 With 40,000 foreigners trekking Kilimanjaro annually it has emerged as Tanzania’s top true adventure travel destination. Kili alone accounts for 13 percent of the nation’s gross domestic product and the schools under its extinct volcano are the best in the nation, according to the World Bank. Kilimanjaro may have arrived late to the international tourism game, but is now a major player with Tusker playing its part in shaping the mountain’s future.